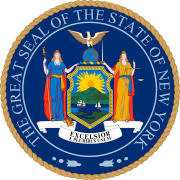 The 1939 New York state election was held on November 7, 1939, to elect the Chief Judge of the New York Court of Appeals. Besides, an amendment to the State Constitution proposed to legalize Parimutuel betting on horse-race tracks, and was accepted. Mr. Beat presents Supreme Court Briefs Siloam Springs, Arkansas April 18, 1938 Both Oklahoma and Arkansas state troopers pull over Frank Layton and Jack Miller, two known gang members (The O’Malley Gang) known for going around and robbing places. They find an unregistered, sawed-off shotgun in the car and arrest them for breaking the National Firearms Act, or NFA a federal law passed in 1934 that put an excise tax on making, selling, and transporting certain firearms and required people had to register those firearms if they had them. Also, the NFA said such gun owners had to report transporting the guns across state lines to the federal government when moving. The gun Layton and Miller had was untaxed and unregistered. Layton and Miller argued that the National Firearms Act was unconstitutional because it not only went against the 2nd Amendment, but also the 10th Amendment. The District Court judge, a dude named Heartsill Ragon (what a heartbreaker he was), acted like he agreed and dismissed the case, saying the NFA violated the Second Amendment. Here’s the thing, though. Apparently judge Ragon was cool with the NFA and just ruled that way because he knew Miller had just ratted out a bunch of his gangster friends and would have to go into hiding after he was released. Also, Miller wouldn’t pay a lawyer to appeal to the Supreme Court anyway. So yeah, the United States of America appealed the case by skipping the appellate courts and going directly to the Supreme Court who heard arguments on March 30, 1939, and just as Ragon had predicted, the defense didn’t even show up. Yep, absolutely no arguments were made and no evidence was presented on behalf of either Jack Miller or the Second Amendment. The Court heard lots from the attorneys for the United States, though. Their main arguments were: #1 - The NFA was mainly a way to collect revenue, so the Treasury Department gave the feds the authority to enforce it #2 - Eh, look, the defendants transported the sawed-off shotgun from Oklahoma to Arkansas, so this was totally interstate commerce And #3 - Sooo, the Second Amendment only protects having military-type weapons appropriate for use in an organized militia, and the weapon found in Layton and Miller’s car, a double barrel 12-gauge Stevens shotgun having a barrel less than 18 inches, ain’t ever been used in any militia. On May 15, 1939, the Court reached its decision. It sided with the United States, reversing the lower court, and saying the National Firearms Act indeed was constitutional. It was 8-0. Justice William Douglas did not participate in this case. So the Court held that the Second Amendment does not guarantee an individual the right to have a sawed-off double barrel shotgun because that specific weapon was not a reasonable weapon for either a well-regulated militia or self defense. US v. Miller was the only Supreme Court case that directly dealt with the Second Amendment in the 20th century. In fact, it wouldn’t be until 2008 when the Supreme Court tackled the Second Amendment again in a case called DC v Heller. I have a video for that one. Check it out after this one and stuff. Interestingly, both gun control advocates and gun rights advocates interpret US v. Miller as a decision that helps their side. Gun control folks say the decision is proof that the federal government is justified regulating certain types of firearms. Gun rights folks say the decision was good because it explicitly and specifically stated people have the right to own a firearm for self-defense and to form militias. However, today US v. Miller doesn’t seem to solve the gun control debate- it just seems to complicate it. So whatever happened to Frank Layton and Jack Miller? Well, Layton ending up pleading guilty and Ragon placed him on probation for four years. And Miller? Miller died before the Supreme Court even made their decision. His body was found in April 1939, with multiple .38 caliber bullet wounds. His own gun, a .45 caliber pistol, lay by his side. Hey, that gun was legal! I’ll see you for the next Supreme Court case, jury! Alright, I'm here in Chicago at the site of the St. Valentine's Day Massacre, Here's my friend Sami, from US101 He lives here. You should go check out his channel. The reason why we're here for this video is because this is where it all got started for US v. Miller If it weren't for the St. Valentine's Day massacre, We would not have this case, because the National Firearms Act was passed in response to the St. Valentine's Day Massacre partially, so Check out Sami's channel, and check out my DC v Heller video that's related to the Second Amendment Guns! Guns. Anything else you want to add? Sami: Men died here. Horrific deaths. All in their heads. Chests. Legs, groins, buttocks. Can we wrap this up? It's cold. Mr. Beat - Yeah, check out his video also with Keith Hughes about the St. Valentine's Day Massacre. In 1939, there was only one state officer to be elected statewide: The Chief Judge of the Court of Appeals, to succeed Frederick E. Crane, who would reach the constitutional age limit at the end of the year. The revised State Constitution of 1938, ratified by the electorate the previous year, increased the term in the New York State Assembly to two years, so that there were no assembly elections anymore in odd-numbered years. The Democratic State Committee met on September 27, and nominated associate judge Irving Lehman for Chief Judge. The American Labor State Committee met on September 30 and endorsed the Democratic nominee Irving Lehman. The Republican State Committee met on October 3, and endorsed the Democratic and American Labor nominee Irving Lehman. Judge Irving Lehman was elected unopposed.